There's a lot of drama around carry on luggage nowadays as airlines get stricter and charge more. It was Ryanair who started the charge for putting your luggage in the hold in 2006. It wasn't long before other Low Cost Carriers implemented the fee and American Airlines became the first legacy carrier to charge for domestic checked luggage in 2008. Not surprisingly, passengers then began to carry more on board to avoid these charges. This didn't go down well with airlines and soon enough they got stricter with carry on luggage, with some even charging for this. Lately even the likes of United and American have introduced a carry on charge for those traveling on discounted fares. It has become a game of cat and mouse between airline and passenger, each trying to get the high ground in the carry on war. Here at TravelDonkey, we look to ease the journey of the traveler, so we've shared some tips that we have learned to help you deal with the carry on jungle. It goes without saying that a good battle starts with good equipment. 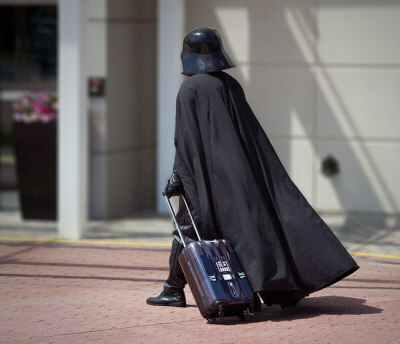 Just as a warrior brings his best sword into battle, so the traveler needs to select a fine piece of luggage. 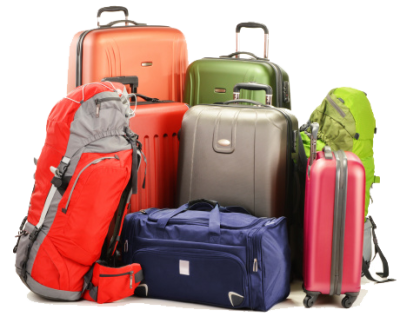 Size is most likely the top criteria when it comes to selecting the best carry on luggage for you. It's tempting to get the biggest one, but be aware of size restrictions, which can be different for each airline. Also, the bigger it is, the more you want to put in. When the weight limit is often around 7kg, there's potential for a lot of wasted space. Still a bigger size does give you flexibility, especially with clothes. Speaking of weight, the lighter the luggage itself, the better! Make sure it's good quality and suits your needs. A roller case is almost always going to be better for you, especially when waiting in queues or walking 25 mins to your gate. 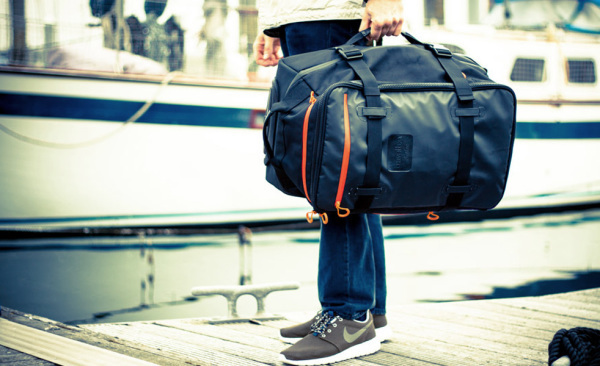 However, sometimes a different type of bag such as a backpack can be really useful. Compartments are also handy and we'll talk about that later. Pick the one that works best for you. Just make sure it's good quality and as light as possible. Probably the top suggestion on "what to pack", is to take only what you need. But what does that mean in real life? "I'll need those extra shoes", "This book will keep me occupied", "I just HAVE to take that shirt/dress/jacket"... Is this familiar? Well, a good question to ask first might be "Did I actually wear that jacket in the last two years? ", "Do the clothes I'm taking go with those shoes?" and "Have I actually read past page 10?" Because if you haven't needed the item in a long time or you don't use it at home, it's almost certain you won't use them traveling. Be smart with the items you do take. For example, see if the chargers you use can be combined. A lot of devices can get by with only one cord so you could use the one to charge a couple of things. To keep yourself and your items organized, separate them into sensible sections like compartments or zip lock bags. I always keep my electronic stuff together, like chargers and adapters and cords. This way I know where they all are. Same with clothes and toiletries. If they're all together, they're easy to find and extract. Everyone has their own method and you'll find what's best for you. 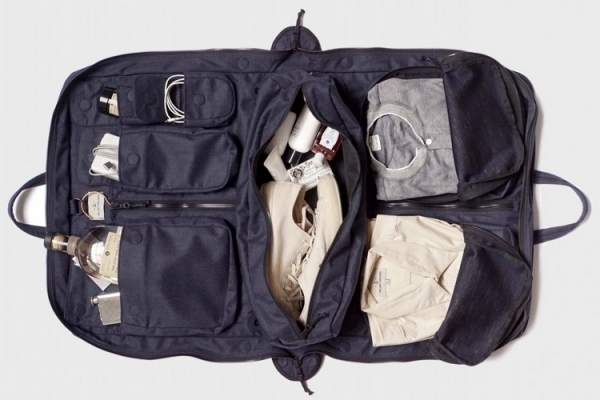 It also helps you to keep things handy for the flight, such as headphones or an extra sweater. Keep in mind too, that you'll have to get some items like laptops and liquids out for security check. So pack accordingly! This is where things get fun and interesting! Research how much you can take in each case and make sure you know your maximum allowance. 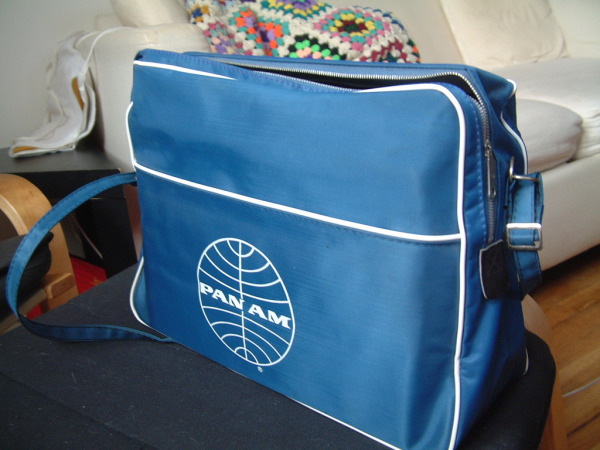 For example, you're often allowed a carry on and a "personal item", which usually means a laptop bag or handbag. So in this case, why take the tiny handbag when you can get one the size of a beach bag? And by the way, men can have handbags too. I was once kindly advised this by an Emirates staff member. We had a lot of carry on and he said men can have "man bags" and the airline can't discriminate on this. Don't forget a laptop bag is considered a "personal item". ​​your personal bag. But be careful here - if it looks bulky and heavy, the airline might very well get suspicious and weight it! On a side note, wearing a jacket can be a great way to ease the weight. Jackets have pockets too so make sure you utilize all this space. Then just transfer all the items back to the carry on when it's safe, such as in the airport or when you're already on board. While it is annoying to deal with all the restrictions airlines have put on us, there are ways to get the things you need to your destination. And here I want to say I DON'T advocate that people take as much carry on as possible. Also, be sure to check your airline's policies! Some really are very strict and will pay attention to every item. But sometimes we need that extra kilogram or two to avoid having to check in a luggage. Finally, be kind to your fellow travelers. Respect other people's space and comfort. We're all trying to get to the next place as comfortably and pleasantly as possible. 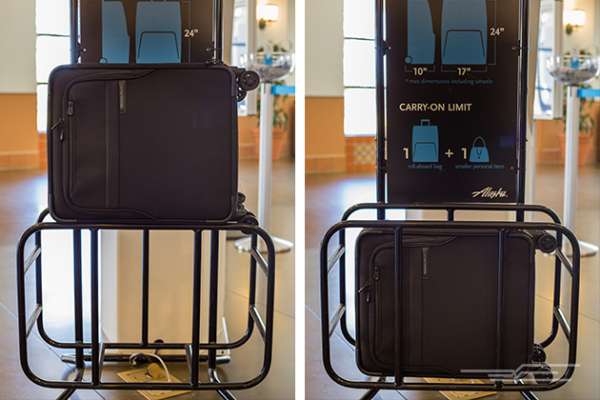 If you pack your carry on luggage smartly, your overall flight experience will be better! We'd love to hear from you about your own carry on luggage experience. Have you tried any of these methods or do you have your own tricks?